Sitting here on a Saturday morning in my wonderful wild socks (see photo on previous post), reflecting on a series of moments of enlightenment and pondering possibilities for the future. After the Asiania plane crash occurred at the San Francisco airport, I got a “breaking news” email from the New York Times. I turned on the television to see the news coverage. After watching for while, I grabbed my car keys and headed for the door, intent on driving to the airport. My plan was to help cover the story, find someone connected to a news outlet and volunteer to pitch in, interview passengers and witnesses. Then it occurred to me that I have no credentials, no press card, and no one there would have time to hear me recite my list of accomplishments when it comes to covering breaking news. Still carrying my keys, I turned back to the television. I learned that injured passengers were being taken to five area hospitals. That’s it, I thought – I’ll head for a hospital, bring coffee to family members or just sit quietly with anyone who was upset. I have plenty of experience at this work – but again, I have no credentials. With today’s privacy rules, I realized I likely would never get into a hospital to offer help. I stayed home. 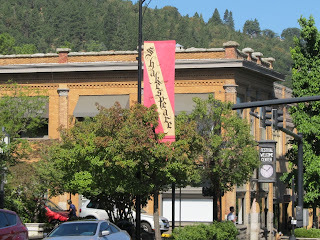 Fast forward to the Oregon Shakespeare Festival in Ashland, where last week I saw five shows. During the performances, more than once I wanted to grab my notebook and pen (my constant companions) and make notes. Chalk it up to reviewing theater for ten years at the St. Louis Post-Dispatch. After each show, I used to rush back to the office to write a quick-turnaround review in 45 minutes or less so the piece could run in the next day’s paper. That was always an adrenalin rush. How many people do you know who can break a sweat while typing? That wasn’t necessary in Ashland, of course, as I don’t review theater any longer. 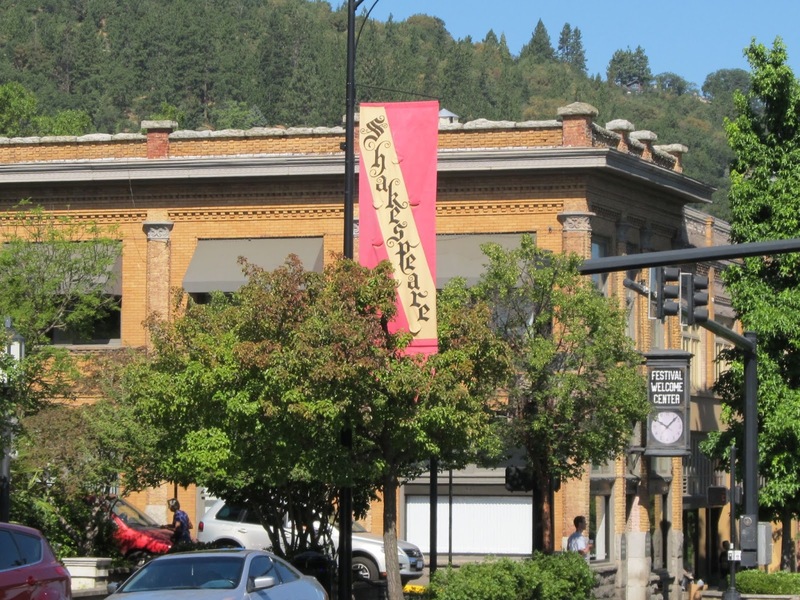 I did have the satisfaction of filling a small notebook with reflections on the town’s shops and restaurants, on the backstage tour at the theater and on a day trip to Crater Lake. My travel article will run in the Post-Dispatch in October. Four nights ago I saw the incomparable Bernadette Peters perform with nine members of the San Francisco Symphony. Also on stage were her musical director, who doubles as her pianist, and her drummer. When Peters introduced the musicians, she revealed that her drummer is Cubby O’Brien, one of the original Mouseketeers. A frisson ran through every Baby Boomer in the audience, who signaled their delight with enthusiastic applause and a muted chorus of approval. I don't Tweet, but I wanted to! I wanted to tell everybody that a beaming Cubby O’Brien was in the house, and how that made the concert all the more wonderful. I did get the word out on Facebook later, and I seem compelled to talk about it again here. Cubby O’Brien!